IThis playful pair of rose gold-plated earrings can be worn in three different ways: as simple hoops, or with one or both of the dangling sealife motifs attached. 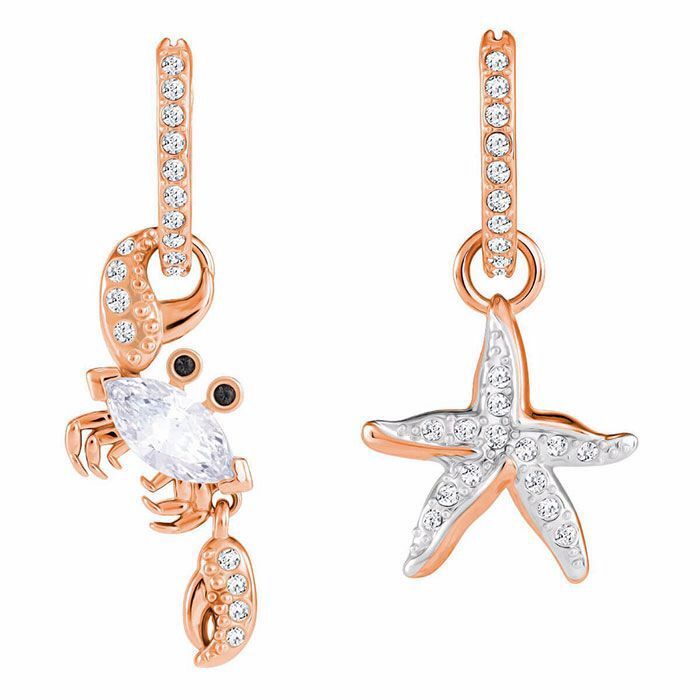 Both the crab and starfish are embellished with clear crystal pavé for a glam touch of unique Swarovski sparkle. Perfect for adding that summer vacation feeling to any look.